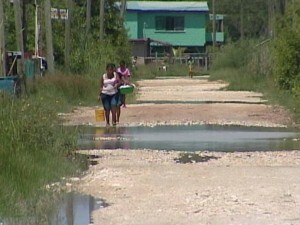 For a very long time now, the Belama Phase Four community has been complaining about the poor conditions of their streets. And after the heavy rains earlier this week, the residents are forced to trek through filthy waters that have flooded most of the streets. 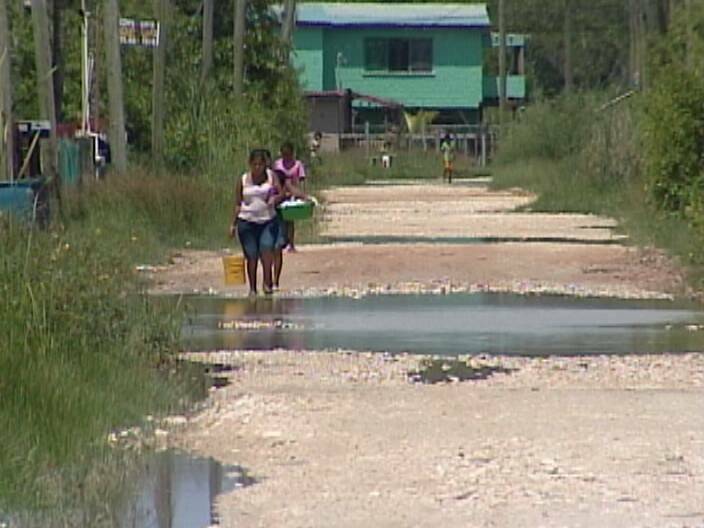 While some parents have chosen to keep their children at home, residents told News Five today that many kids take off their shoes and walk through the water on their way to and from school. The conditions raise serious health concerns for children and adults in the area who have to contend with the flooding whenever it rains. It is believed to be a problem of poor drainage compounded by close proximity to the Haulover Creek. There have reportedly been several pleas for assistance, but nothing has been done. That is disgraceful. The residents have a right to be angry. What is council do about it, perhaps someone from the Mayor’s office would like to come and discuss their plans. Can I suggest if they do not plan to fix it anytime soon, perhaps they would consider issuing rubber boots to the residents. I bet the mayor or the prime minister would not put up with such condition for a week. I think we can all categorically agree that is not a “Street”. No doubt your car would be wrecked back there. The anger is fully justified. the Mayor has been on a campaign to GET UP AND RUN !!!!! She was elected to fix streets and drains, not as a personal trainer… how are we to run in the streets. this city council is a disgrace!!!! belama police station still closed down. 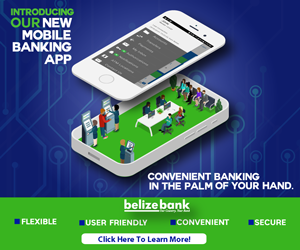 why is this UDP government punishing the people of BELAMA..
Belize blacklisted by U.S. for being on route for drugs bound for U.S.
9th Amendment Consultation Road Show in P.G.